Ebyan Farah, 28, is charged with eight counts of neglect and confinement. INDIANAPOLIS — A 7-year-old Indianapolis girl told investigators she and four siblings usually slept when barricaded in an apartment closet by their mother, but last weekend she called out for the woman to open the door after realizing her brother and sister had died, according to court documents released Thursday. YEREVAN, Armenia — Anyone looking for huge amounts of free chocolate should book a flight to Armenia’s capital next month. On October 16th the world’s largest chocolate bar will be up for grabs in Yerevan’s main square. 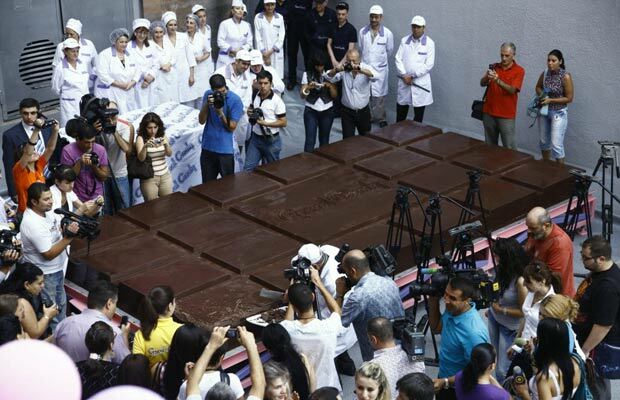 The Guinness Book of World Records certified the 9,702-pound chocolate bar at a ceremony Saturday. It was made by Grand Candy factory and contains all natural ingredients, including 70 percent cocoa mass. The chocolate bar is 224 inches long, 110 inches wide and 10 inches thick.